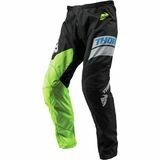 Myers967 - Florida Terrible problem with sizing "Bought Thor 2019 Sector pants for my daughter in Youth size 28. She already owns a size 28 and they fit great so we knew the size should be correct. Pants arrive in a timely manner but are way too short. I measure the inseam and they are 20”, and the sizing chart states they should be 26”. I call and they offer to exchange them and it must be a fluke. The 2nd pair arrive and it’s the same problem, 20” inseam. I call and they suggest a different manufacturer. These are the pants we would like though. When we talk about sizing in possibly adult size he states the sizing chart says 20” inseam on men’s small??? Do you know how short that is? My daughter is 5’2” and these come up to her knees. It doesn’t make any sense. The youth sizing in these pants must be way off. I am going to try and contact the manufacturer." Space - SNJ Excellent product "Nice easy to use just can't wait to get them broken in they are a little stiff out the box but they are supposed to be"
MotoSport.com carries the most comprehensive Utility ATV products catalog. Utility ATVs are reliable and rugged machines, designed to get the job done regardless of weather conditions. They make life easier when working your land or blasting through the forest to your favorite hunting spot. However you use your machine, you'll find the perfect complement for it here at MotoSport. You can find the best Utility ATV parts, aftermarket or OEM on MotoSport.com. Our large product selection makes it easy to shop by make, model and year for specific parts and gear. We understand that you need time and cost effective service, so when you put your trust in MotoSport.com, you'll get the parts and accessories you need at fantastic price and without the wait. MotoSport�? ?s catalogue includes parts for the latest Utility ATVs but also for those older 1980�? ?s models. The OEM parts arrive directly from the factory and we personally make sure you get the right part quick and easy. Select your Utility ATV and the inventory will be automatically filtered to the items that fit your machine, online shopping is made even easier!. No one beats MotoSport for hard-to-find Utility ATV parts, accessories and gear! We have a massive selection of Utility ATV hard parts, clothing, hunting gear and farming equipment at the lowest prices! From bags to helmets, racks to tire chains, and even cleaning supplies �?? you will find amazing markdowns from our huge selection of discounted Utility ATV parts and accessories. Your satisfaction is our priority, we offer a free 3-day express shipping, expert customer service, and full 90 day return policy. Utility ATV Parts - Everything you need from bars and controls to tires and wheels. Utility ATV OEM Parts -We carry all the greatest brands: Honda, Kawasaki, KTM, Polaris, Suzuki and Yamaha. Utility ATV Tires - Tire combos, front tires, rear tires, inner tubes and even tire tools to keep your machine is the best condition. Hunting - We have gun racks, ice shelters and more to make every hunting adventure a memorable one. Farming - The backbone of America belongs to its farmers. We'll do anything to help which is why we have a vast catalog of gear and supplies. Utility ATV Tools and Maintenance - Here you will find everything needed to keep your Utility ATV running smoothly. Utility ATV Riding Gear - Take a look at our large gear selection. 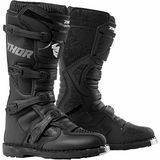 Casual Apparel - Shop MotoSport.com for casual men, women and children gear: tshirts, pants, hoodies, sunglasses and more! Utility ATV Gifts - Want to surprise your rider friends? Take a look at our gift selection. Brands -Search by your favorite Utility ATV brands. MotoSport.com is here to help you find the best Utility ATV parts and accessories. Experts are available on our toll free line 866-677-7338 or chat. Remember, orders Over $79 ship for free within the continental United States!